What can we do when we have been wronged and a LARGE Institution has committed a CRIME against us? You will be surprised when you educated yourself and empower yourself to take ACTION. 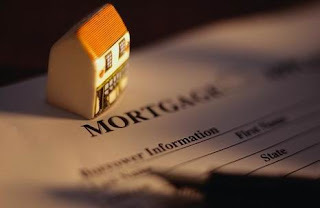 We have researched this ongoing Institutional Mortgage Fraud situation and teamed up with experts, in this field, so we can provide information, Legal Forms, and support so YOU can take ACTION and bring, a Law Suit charging them with Mortgage Fraud. Here at Pro Se-Mortgage Fraud-Litigation we provide the tools you will need to Educate-Empower and take Action so you take back your sovereignty and stay in your home. The Mortgage Banking System has committed an Institutional Fraud, on the public, and we have the power and the proof to force their hand and right this wrong. We are far more powerful than we have been told and there are Legal Remedies that we can take if we will educate ourselves and then take Legal Action. We have formulated a program that has helped hundreds of people stay in their homes. NOW is the time to take back your Personal Power and reset the playing field so you are not operating with a victim consciousness but rather a Powerful-Sovereign-Individual Consciousness. In other words; Take Back Your Power and Re-Set the Playing Field. I can speak from experience; I was a small business owner with six retail stores, when the financial tsunami struck I was crushed and my sales were cut in half. In short my business went belly up, my financial wiggle room was taken away and my personal financial situation was decimated. I could not keep up and the Bank filed to Foreclose on my home mortgage. I chose to stand up and fight rather than run away or give in to them. You too can be a fighter who decides to use this mortgage fraud situation as the vehicle to take back your power and reset the playing field. By making this choice you will educate yourself thereby empowering yourself to take action. Remember you have been wronged and it is up to you to stand up for yourself if you want right this wrong. Thankfully you are not alone and we have put together a workable process to help you and support your journey. We have a support team, in place, with a track record that enables you to operate with confidence. We have the Legal Forms and the support staff to help walk you through the legal process. We are not lawyers and we do not claim to be officers of the court. Rather we are people who understand the system and have the knowledge to navigate this mortgage fraud mess with confidence. Remember they, the BIG Banks, have broken the law and if we are willing to stand up to them and fight, then we can stay in our homes, while we are fighting, and call them to give an account for their unlawful actions. Please check out our website, watch our videos and then if you think we can be of service then fill out the Questionnaire Form and send it back to us. We will contact you to set up a free consultation and do our best job to help you navigate to a better place. A Loan Modification is the process of mutually changing the terms of a mortgage contract that better meets the needs of both parties. Aside from FTI, which elelectronic discovery companies make good litigation tools/software?